Well, this seems oddly familiar. A month after the single’s initial release, on Nov. 5 Sia debuted the music video for “Alive.” Now the twist is this: longtime go-to Sia girl Maddie Ziegler doesn’t star in it. Instead, 9-year-old martial arts phenom Mahiro Takano fills in with the (probably literal) killer moves that made her a viral star. Other than that, though, the video is pretty par for the course in the anthology of recent Sia music videos. So now you’re wondering: What exactly CAN you expect from every Sia music video in the past few years? Well, feel free to watch the “Alive” music video below, and allow me to recap all the recurring themes in Sia’s videos. The most glaring and recent addition to this new wave of Sia videos has been an expressive child. It's basically the focal point of the video. Think of her as an avatar for the singer. Child or no child, you have to have the blunt cut wig to make it a Sia video. Even her Heidi Klum collab with "Fire Meet Gasoline" has Klum strutting off with a platinum bob hair piece. I have to say, though, the Cruella de Vil wig is a fresh twist on an old classic. The kid in the video has to make at least 400 absurd gestures that look completely stupid if attempted by the average person. The only very recent exception is the highly expressive "Big Girls Cry" video, which just focuses on the Sia avatar's face (and is subsequently terrifying to watch). Otherwise, the camera, like the subject of the video, rarely stagnates. I'm just saying you're not tuning into the videos for the bold primaries, you know what I mean? It's mostly tones of grays and beige. Or Shia LaBeouf. But usually there's no context for the erratic and yes, almost violent gesticulations in the video. This one is especially perplexing, since the Sia avatar looks like she's training, but for what? Well, duh. 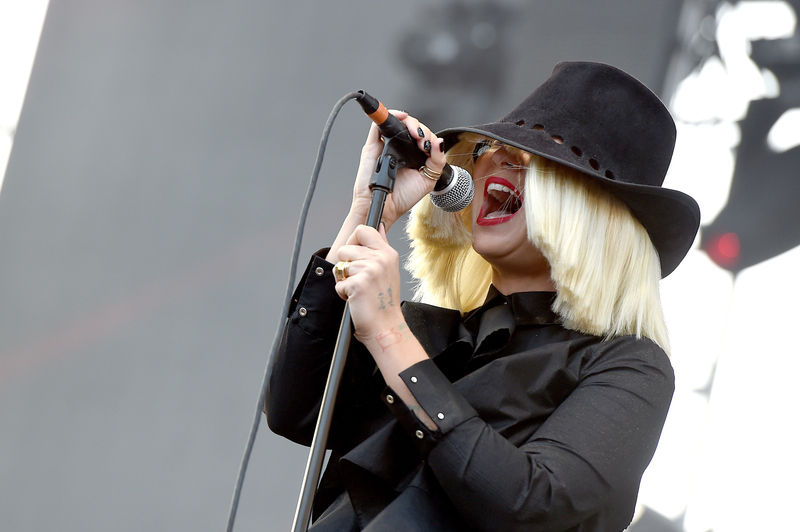 Sia tends to hide her face on stage, so it's not shocking that her presence in the videos is only that of her voice. An Overwhelming Feeling Of "WTF Was That?" I'm concerned if you're not at least somewhat baffled about what happens in your average Sia video. Love it or leave it, you can't deny that "Alive" is a stunning video in spite of all the Sia clichés.